The more common plumbing problems property owners experience is broken/leaking taps and broken toilets. Don’t despair it can be an easy fix. However, with the risk of further damaging your property, leaking taps and broken toilets should be left in the hands of a experienced plumber. Alderbrook’s can find and fix leaks in the walls and floors of your building. Burst pipes, compromised wet sealing and tiling we tackle it all. Like our leak detection equipment for example which is of the highest quality and our staff expertise second-to-none. Therefore, there is no leak that is too small for us to handle. For instance we can offer help with: leak detection, pipe repairs (including copper re-piping for old pipes that are creating intermittent water pressure and rusty water). Shuddering pipes, water pressure problems, drainage issues in retaining walls, subfloor dwellings, roof surfaces, and wet areas such as bathrooms, pools and spas we have it covered. That’s why Alderbrook Plumbing will commit to 24 hour service for emergency repairs. That’s where your require machine excavation, thermal imaging and sounding. 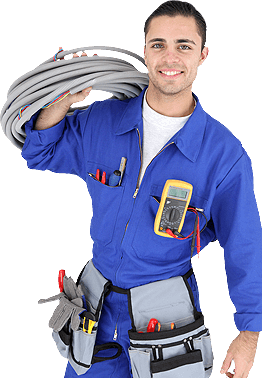 Like our tradespeople who are polite, professional, and highly trained. All that means we offer a satisfaction guarantee for any service they carry out.